If your TV isn't showing any pictures, or you are getting bad reception on channels when before you used to get good reception, it's time to contact the experts at Adelaide Telefix to get your antenna serviced or repaired. 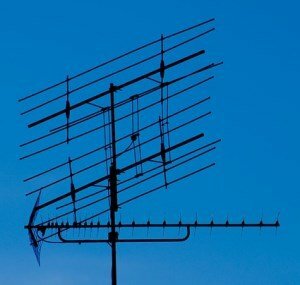 Our expert technicians have years of experience repairing and servicing TV antennas, and we will be able to repair or service your antenna so that you can get back to enjoying great TV quality as soon as possible. Maintaining and servicing your TV antenna is important to ensure that you get great TV reception. One part of maintenance and servicing is TV antenna interference - your antenna can experience interference from a variety of sources, and this interference can degrade the quality of your television's picture and audio. Our expert technicians know how to eliminate these sources of interference, and restore your TV's picture and sound quality to the best it can be. Outdoor antenna cables can also be a source of problems for TV reception, because the environment and weather can wear the cabling down or degrade them, resulting in inferior picture and audio quality. At Adelaide Telefix, we use the highest quality cabling, and we can replace any worn out or degraded cabling you may have, or we can provide you with the latest antenna cables to replace your old cables if needed. So if you're having TV reception problems, or the channels aren't as clear as they used to be, contact the experts at Adelaide Telefix to have your TV antenna repaired or serviced. Our years of experience in diagnosing and fixing antenna reception will ensure that you get the best image and audio results from your TV's antenna. Contact us now on 1300 884 829 for a free quote, or book a job online by clicking below.